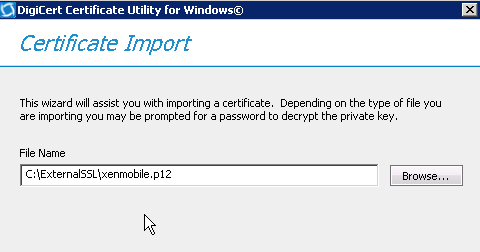 To replace the default certificate that comes with XenMobile with a 3rd party one, from say Digicert, there are a couple of steps that you need to take. None of these are hard, but are not well documented anywhere. 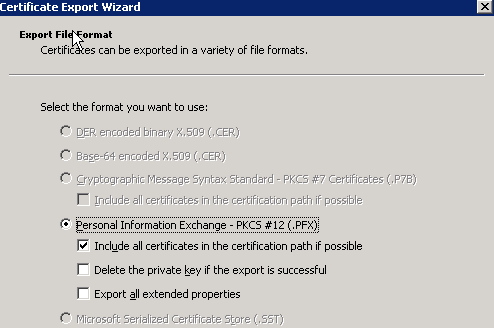 First you need to have a PFX file that has your root CA, intermediate CA and regular certificate included in it. It should also be protected by a password. 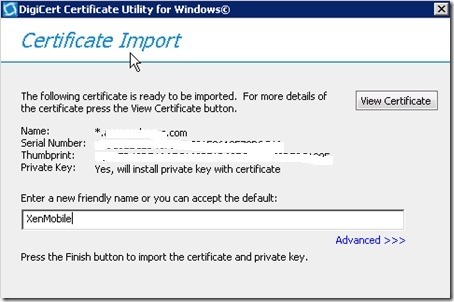 The easy way to create this is to use an existing windows server that has the certificate installed. 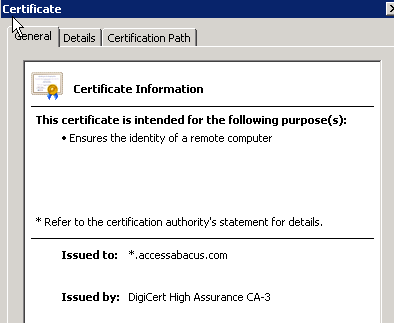 Open of the Certificate snapin and browse to the local computer. The following was done with XenMobile 8.6 but also applies to XenMobile 8.5. 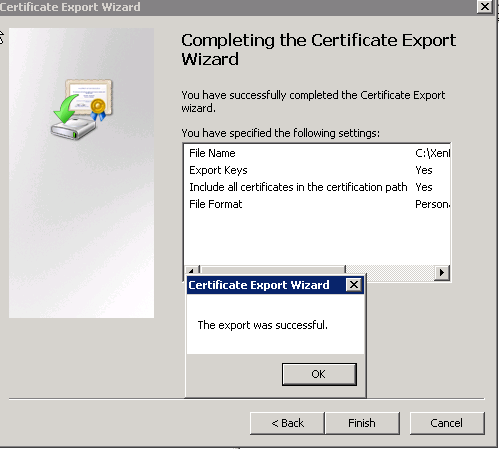 It was also done with a wildcard certificate but the process should be the same for a SAN or regular certificate. 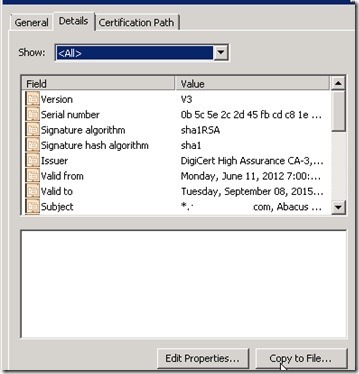 Note the highlighted sections. 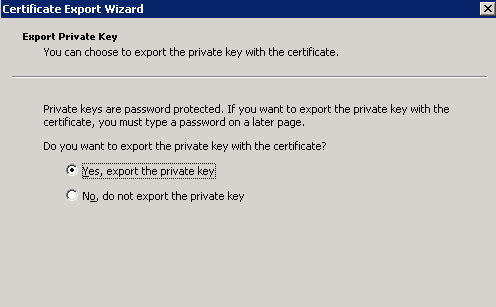 The first is the path to the certificate file, the next is the password from when we exported it. Again open the file in wordpad. Now all thats left is to publish it in DNS! Hey Port25Guy, great post. 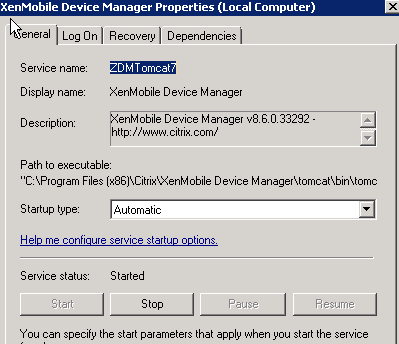 I’ve referenced it from my blog about SAN certs not working during the install of XenMobile.